To be honest the whole influx of cycling cafes is doing my head in a little. And not just because I can't really ride a bike (what? SHUT UP). Anything that bespoke; knitting cafe, cat cafes....just seem so flipping cliquey and unnecessary. But The Cyclist is not, I repeat not, another cycling cafe. Short of the bike powered mobile phone charger at the entrance there is no risk of a public display of Lycra. Phew. 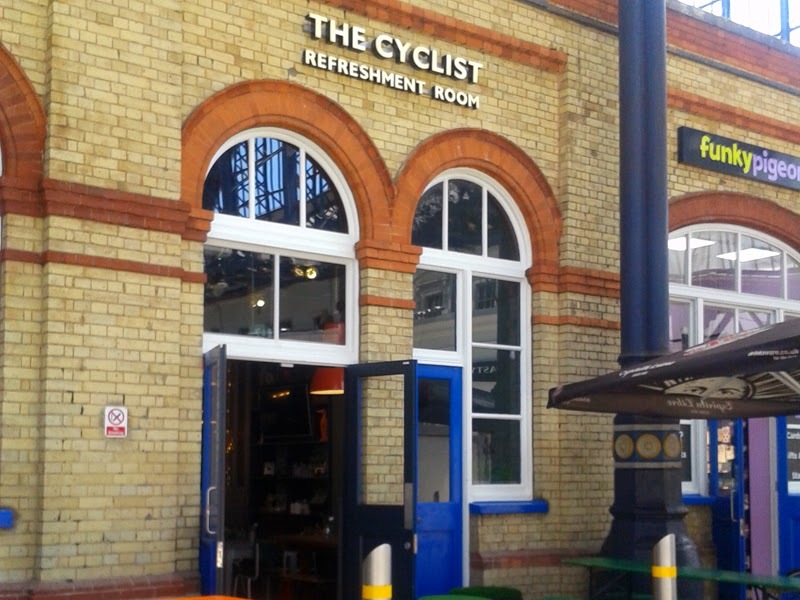 The Cyclist is however a new addition to the growing food scene at Brighton train station. Gone are the days of stale baguettes as our default. We now have fresh baked bagels, wood fired pizza and now well sourced local food, simply treated at a good price. The Cyclist is an all day restaurant with interesting breakfasts, a fresh daily lunch specials board and dinner. It would also be fine to pop in just for drinks. Being in the station is a massive bonus too, relieving weary tourists, commuters and workers from the surrounding businesses. The owners, Rupert and Jo Clevey were founders of Geronimo Inns and clearly know a thing or thousand about the industry. This is their first venture under their new Greenwell & Tipple brand where the idea is to reinvent train station eating. So no more gastro pubs or sandwich bars but a travel hub of sorts which I like. In Italy (probably Europe) you can get a decent four course meal with a glass of wine in the service stations for goodness sake. The UK generally suffers from lack of decent food whilst travelling so think they have tapped into a good market here. The attention to detail here almost borders on obsessive (which I can relate to). Despite in passing it seems like an eclectic collection of trendy junkyard finds and travel themed antiques, everything is considered from the silver tankards on the table to the soft furnishings. It's been beautifully done and an absolute pleasure to be in. And the quality continues to the menu. Meat is from a butcher over in Handcross and fish and baked goods are local. Even the mineral water is from the South Downs and there are a few of my favourite producers on the drinks menu, although I'd like to see a few more possibly. 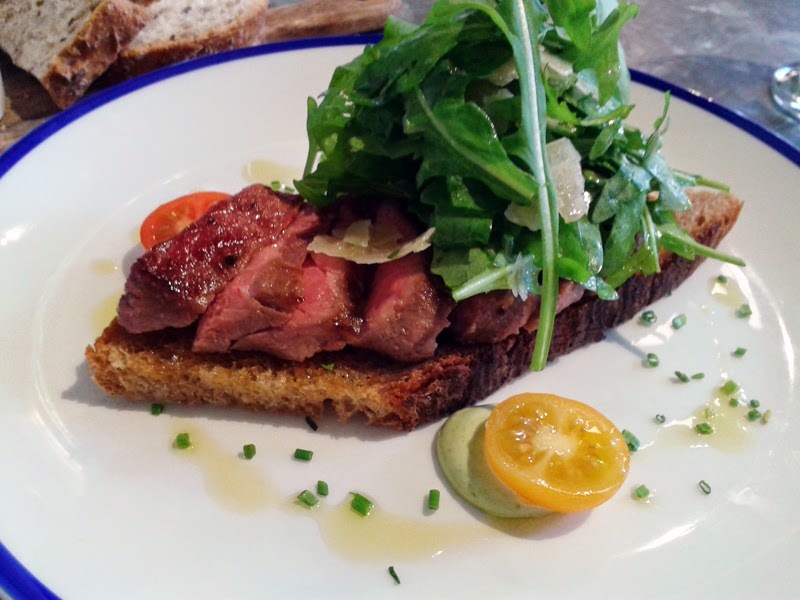 The burger is supposed to be very good for you enthusiasts out there but I opted for the steak bruschetta. The size was perfect for lunch and only £7 for a good quality cut of meat. It was well cooked which was fine for me, over for some who like it caveman style. The large helping of fresh rocket, Parmesan shavings and cherry tomatoes freshened up the dish. The only think was I could have done with more of the herb aioli as it was so delicious. They also gave you a generous portion of bread and oil. 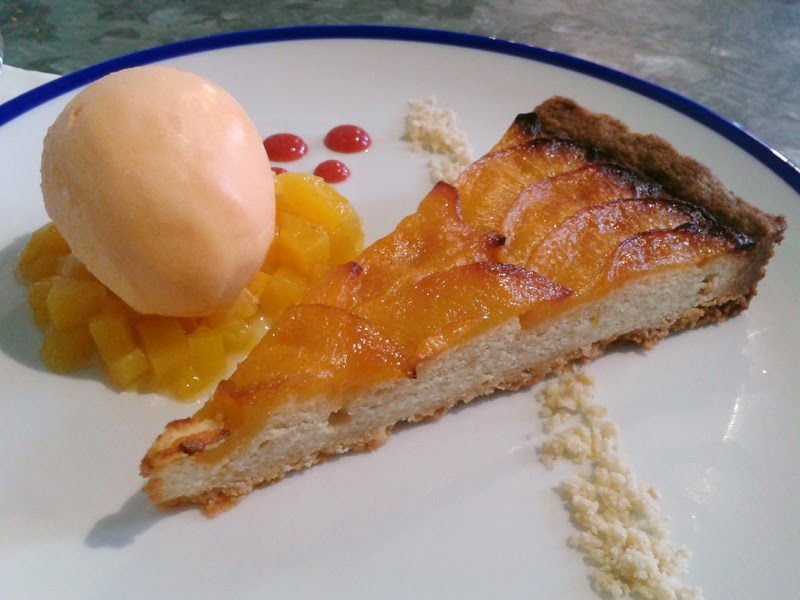 For dessert I was tempted by the peach and almond tart served with a sea buckthorn ice cream (made in West Sussex). This was my first taste of this unusual berry, a sort of orange/mango if you like but I'm sold. The tart was well made with fine slithers of peach, caramelised at the edges and the dish was very well presented. A snip at £5.50 and so beautifully presnted. 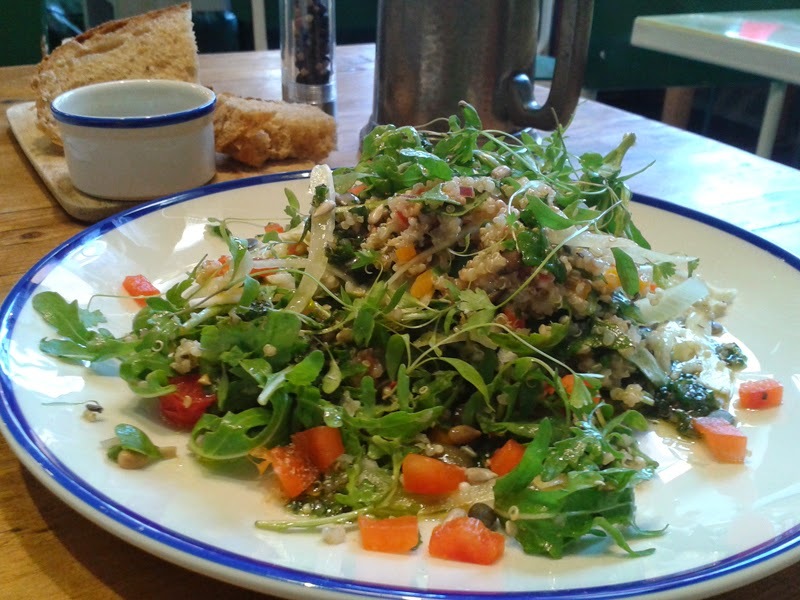 I liked the food so much I went back for one of the varied salads (quinoa, fennel and herb salsa) later in the week whilst I had a meeting and have sent quite a few of my yummy mummy friends up there too as the space is good for buggies. Service is enthusiastic and friendly, but above all efficient which is just the ticket when you have to fly. 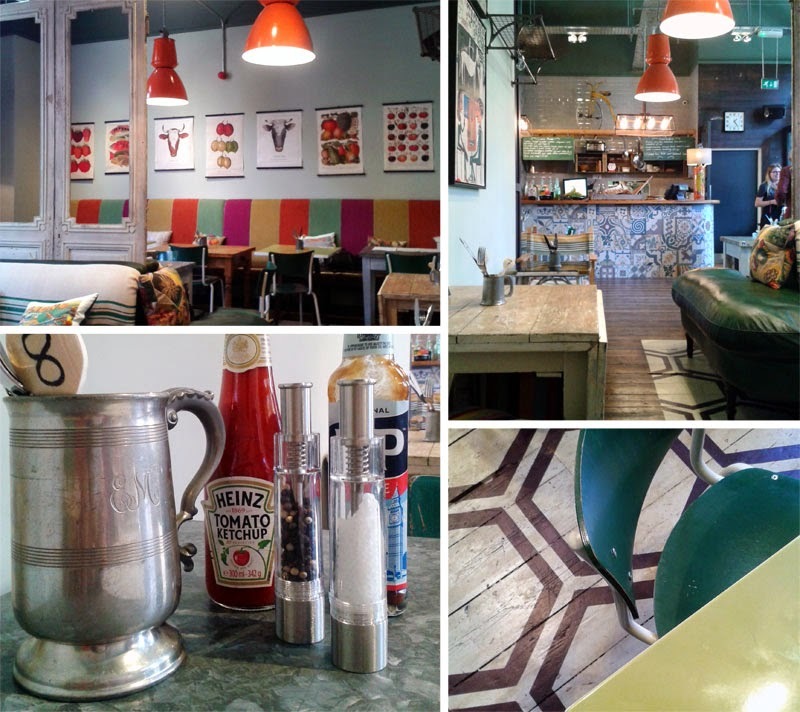 The Cyclist is a fantastic addition not just to Brighton Station, but to Brighton itself. Even if you don't have a train to catch, it's worth the journey. I was invited to review The Cyclist. Views, as always, are my own.